Accommodation varies from air-conditioned, carpeted, deluxe rooms with telephones and room service, to thatched-roofed bungalows (Tahitian pensions where the bathroom is shared and may be outdoors with cold showers). In the outer islands, resort hotels normally have individual gardens and over-water bungalows and rooms, many built of bamboo; shows and dance bands are often laid on in the evening. A tax of 7% tax is added to the cost of all hotel rooms, but this does not apply to pensions or family lodgings. There is a youth hostel in Papeete. It is possible to rent a room in a family home through Tahiti Tourisme for a more genuine experience. 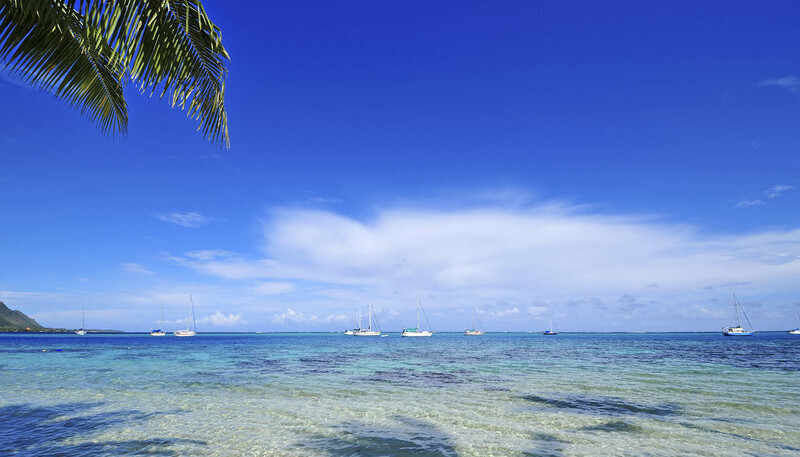 There are two campsites on Tahiti; camping is also possible in the grounds of some pensions.